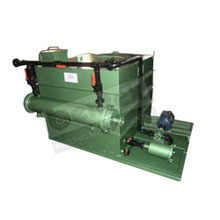 Oil Lubrication System Manufacturers and Suppliers India. 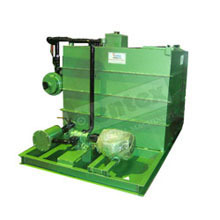 We are a prominent manufacturer of Oil Lubrication System that is renowned for its efficient performance and developed with the help of effective technology. Oil Lubrication System is generally used for control temperature & Texture of Gears & Bearing of Industrial Reduction Gear Box, Pinion Gear Box Etc. These are used for prolonged the life of machine. Our Oil Lubrication systems are basically designed as Simplex/Duplex type System(as per requirement of Industrial Machinery) which consists with a Settling Tank, Gear Oil Pump, Oil Filter, Oil Cooler, Necessary Pipes, Pipe line Fittings, Oil Flow Control Valves & Instrumentations. Fabrication welded by MIG Welding dully grinded & machined. 50 L.P.M. to 300 L.P.M. The Small/ Medium size systems designed as all the equipment & instruments are mounted on the tank. The Large Size systems are designed as all Tanks are provided separately & skid Mounted System mounted on a common base frame. Internal pipes connected with central oil lubrication System. 3 way Plug Valves/ Ball valves/ Gale Valves. Elimination of missed & inaccessible bearing. A wide range of designed to suit different applications.